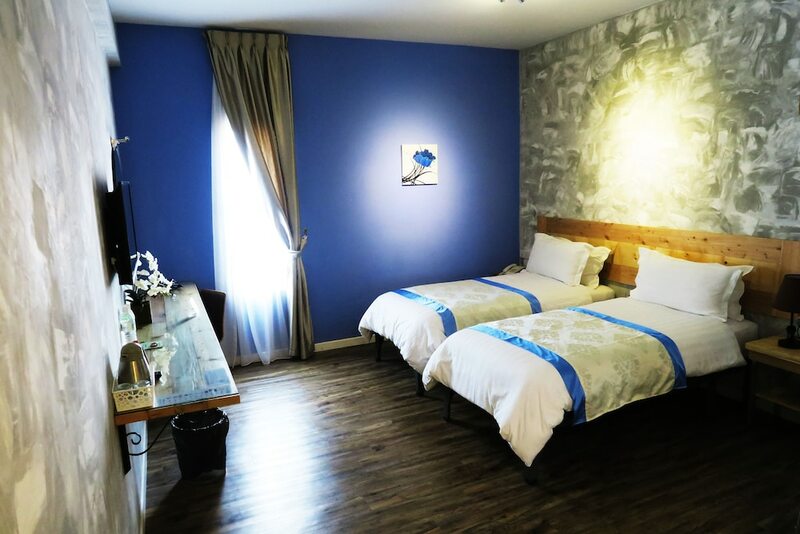 Located in Downtown George Town, this hotel is within a 15-minute walk of Han Jiang Ancestral Temple and KOMTAR. Swettenham Pier Cruise Terminal and Penang Times Square are also within 1 mi (2 km). A restaurant, a bar/lounge, and a coffee shop/café are available at this hotel. Free WiFi in public areas, free self parking, and a free manager's reception are also provided. Additionally, a spa tub, a rooftop terrace, and a 24-hour front desk are onsite. All 49 rooms provide free WiFi, refrigerators, and LED TVs. Free bottled water, hair dryers, and safes are among the other amenities that guests will find. The hotel offers a restaurant and a coffee shop/café. A bar/lounge is on site where guests can unwind with a drink. Each day guests can enjoy a complimentary manager's reception. A computer station is located on site and wireless Internet access is complimentary. This business-friendly hotel also offers a spa tub, a rooftop terrace, and multilingual staff. Limited complimentary onsite parking is available on a first-come, first-served basis. Chulia Mansion has designated areas for smoking. Start your morning with a buffet breakfast, available each day from 7:30 AM to 10:30 AM for a surcharge. Every day, the hotel hosts a free manager's reception for you to enjoy. Rollaway/extra beds are available for MYR 65.0 per night.